The advantages and drawbacks of spearfishing gear package deal. 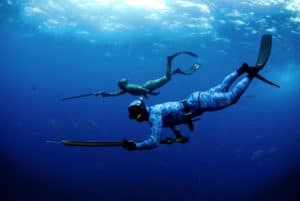 What are the Advantages of Buying a Spearfishing Package? When you’re new to spearfishing, purchasing a brand new spearfishing gear package might seem like a risk. However, owning a brand new product always comes with its share of benefits. First of all, you’ll be much more comfortable in using your personal gears than a rented one. Think about the horror of having to use a regulator that has been into the mouth of hundreds of people before. What if the wetsuit doesn’t fit you? On the other hand, you’ll be much more familiar with the settings of your personal gear. You will be able to adjust the buoyancy accurately and keep all the accessories arranged. Some rental shops are extremely vigilant about their rented equipment. They might charge you extra money for finding even a minor defect in any of the parts when you return it. Not all rental shops are equal. While some really ensure proper maintenance of the gears, many don’t. At times, a critical defect in any accessory such as a leaking hose can only be noticed post jumping into the water. It will already be too late by then. Finding the right spearfishing gear rental shop in abroad or even in your local area can be a time-consuming task. Who wants to waste their precious holiday time by trying out different sizes of wetsuits and masks? What if the right BCD size for you could be unavailable at that moment? Familiarity with equipment is of the highest importance when you’re diving or spearfishing underwater. Having a new set of apparatus every time is naturally going to take you a while to understand the set-up process. Although most gears are almost the same, it’s still going to take you some time and practice to get used to the settings. If you’re traveling abroad, carrying spearfishing gears might require special permission from the airport authority due to luggage restrictions. You might have to pay an extra fee for exceeding the average luggage allowance in flight. You will have to take the full responsibility of maintenance of your gears. It is not as easy a job as you may think. Apart from cleanings the essentials like masks and wetsuits after each dive, you’ll have to get the cylinder hydrostatically inspected before the next dive. The BCD will also have to be sent to the service center annually. Spearfishing fins are usually longer and narrower than normal diving fins. Make sure they fit your feet perfectly before finalizing the purchase. Spearfishing with a warped or leaky mask can be dangerous. Always look for a large volume mask. This will ensure you get a proper vision of your surrounding underwater. When it comes to snorkel, find a model with a removable mouthpiece. Check out the adjustments thoroughly while shopping. The selection of a speargun will heavily depend upon the type of fishes you’ll hunt. While a long speargun provides a great shooting range for big fishes, the small-medium ones are easier to maneuver. To stay active in cold water, safe and secure against aggressive fishes as well as sunburn, you’ll need a solid, thick wetsuit. Using scuba diving suits for spearfishing isn’t a bad idea. However, I will always recommend you to opt for a wetsuit specially designed for an extreme sport like spearfishing for better protection. For spearfishing, a small knife with a razor-sharp edge is an ideal fit. 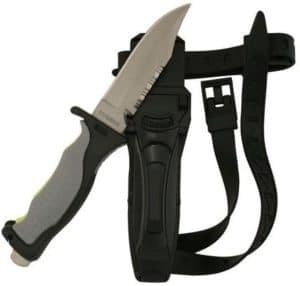 The blade should be easy to deploy and feature a strap-on joint for the ease of portability. You can also carry a blunt-edge diving knife for cutting the fishing lines and seaweed should they come in your way. Your everyday gardening gloves will do just fine underwater. However, if you want something more advanced, you can go for wetsuit gloves. 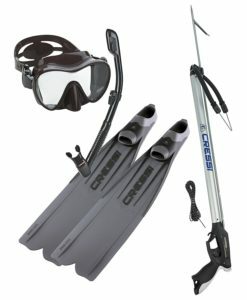 The gears mentioned above are the absolute essentials in a spearfishing gear package. 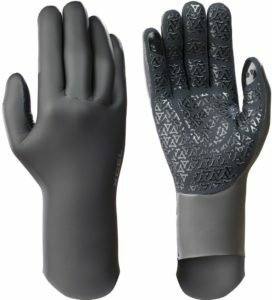 Apart from these, you’ll also need a well-fit regulator, a freediving computer, a BCD, weight belts, reels, band, slings, wishbones and several other miscellaneous accessories e.g., a role of nylon, a Dyneema to get started with spearfishing. Cressi has been in this industry for a pretty long time now. Their long line of quality diving, snorkeling and spearfishing products has established it as a leading brand today. Without a second thought, the best equipment in this kit is the fin. The construction might seem slightly heavy-duty for amateur divers. The mask has a skirt edge which should fit any face size. Another excellent feature that doesn’t create as much hype as the fins is the snorkel. Its hypoallergenic silicone mouthpiece would be the winning element in this spearfishing set for me. It doesn’t make you feel uncomfortable even after prolonged use. However, some might find the lack of any package discount on the gun a trade-off. But to make up for it, it allows you the liberty to choose any gun you want. 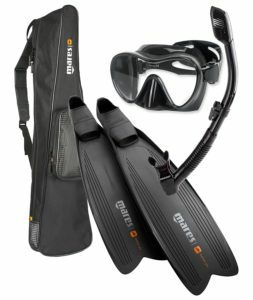 The 3000 LD fins in this spearfishing package might are not as rigid as that of GARA 2000, but it is certainly way more flexible. This could be counted as an advantage for inexperienced divers who would find the fins comfortable to swim with. The Elastomer foot pocket has a very practical design that helps it to fit around the foot anatomically. 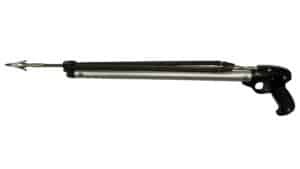 Talking of Cressi’s much talked about Apache Speargun, the design is ergonomic, easy-to-handle and decent for small preys. Even if the shooting range is limited, it does its core job well enough. 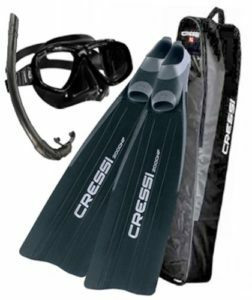 The Cressi Dry Snorkel in this set apparently has a large draining system. 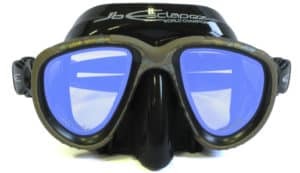 Those who don’t know what a dry snorkel is, it is basically an advanced snorkel with a splash guard on top that completely seals the water when the wave comes. It is a highly useful feature for deep sea diving. 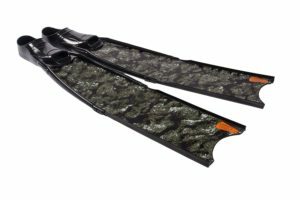 The pro polytech fins in this set help you move in the water with least effort and optimal efficiency. I would highly recommend using them with socks to produce better insulation while snorkeling. The snorkeling mask features a purge valve which lets you blow out the water using one way. This comes most handy if your mask has any leakage issue. Though I have little qualms about the fitting of the mask, I do appreciate the thought behind keeping it frameless. It gives you an undisrupted view of the underwater scenario, making it easier for you to detect your target. Having the right weapon present in your arsenal holds supreme importance in spearfishing. This Hawaiian sling with a removable spearhead has an impeccable grip. The reason why beginners should prefer slings over spearguns any day is that the former is really easy to hunt with. Moreover, you can take another shot quickly if you miss the first one. Its 3 prong paralyzing tips should work well while catching small games, especially those that escape quickly. However, if you’re a seasoned snorkeler, a fiberglass spearhead might not satisfy your needs. They tend to break easily. 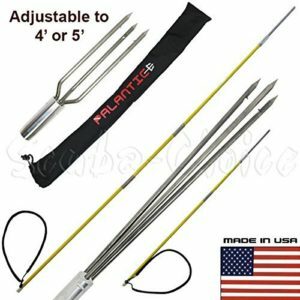 Therefore, if you’re just trying your hands on spearfishing for the first time or will use the kit occasionally, this spearfishing gear package could be a steal deal for you. Selecting the best spearfishing gear package does take some time and effort. Refer to as many reviews as you, don’t rush into things and try getting in touch with customers who actually bought the product you’re eyeing for. Always check the gears thoroughly for any defect before actually dive into the ocean. Have a safe hunting. See you.